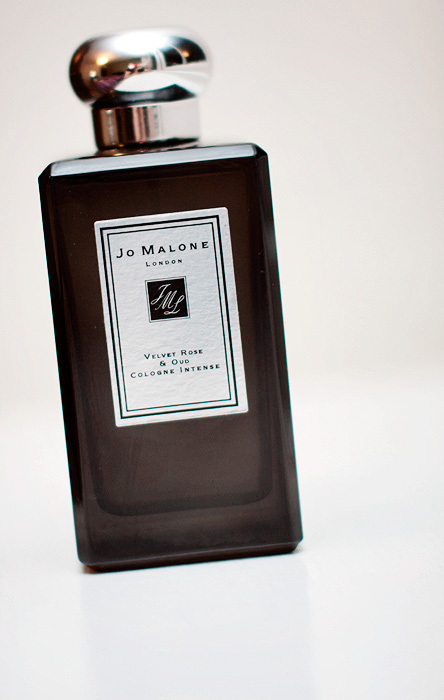 I’ve been a fan of Jo Malone’s Cologne Intense range since it debuted in the Summer of 2010 and although back then, the thought of spending £70+ on a fragrance did little more than bewilder me, you may have noticed that as my interest in fragrance has grown, so my spending budget has significantly increased. Of the current colognes in the range, it has always been the Oud & Bergamot Cologne Intense that has appealed to my senses more than any other (followed closesly by the Amber & Patchouli – what can I say? I like the headier stuff!) 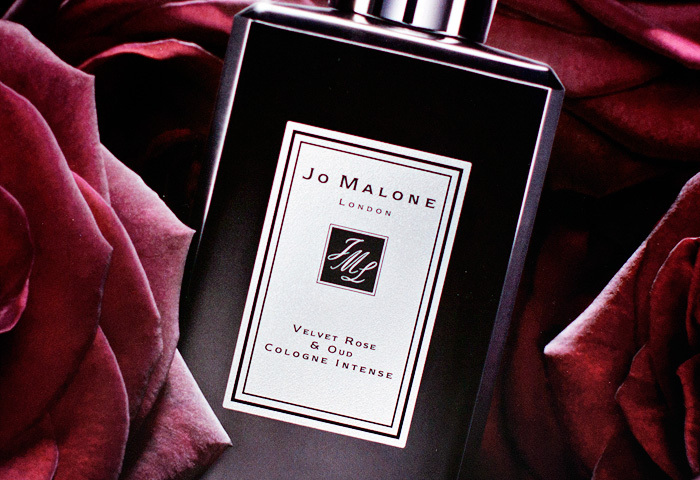 which is why I was excited to hear about the brand’s latest addition to the line, the Velvet Rose & Oud Cologne Intense*. Rose & Oud… it’s not the most original pairing in the fragrance world is it? But there’s good reason for that – the traditional Middle Eastern coupling simply compliments one another beautifully. If you’re a Rose & Oud aficionado, you may find this version a touch dumbed-down despite the “intense” moniker, in which case, you’ll be pleased to save your pennies. 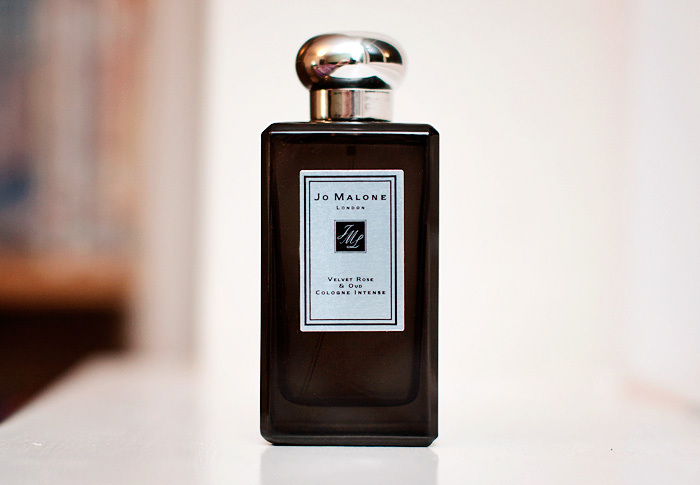 For everyone else, I have to say that the new Jo Malone version makes for a lovely introduction to the classic duo. It’s heavy on the rose, as you might expect from the British brand and reminds me somehow of a more velveteen and cleaner Le Labo Rose 31, thanks in no small part to the fact that the Oud in this definitely plays only a bit part on the stage. It lacks the animalic tang and spice of the Le Labo but the dark, masculine edge is perfectly balanced with a voluptuousness that emerges from the first sniff and stays the course throughout the shorter-than-I’d-like wear time. So, talking of longevity… this is where I find my disappointment – for such a majestic pairing (and a non-too-shabby price), I’d like more endurance please – on my skin, I achieve around the four hours mark. Ultimately, this leaves me torn – I adore the composition: the allure of the rose with the darkened petals and its full-bodied, almost torrid sultriness appeals in all the ways I had anticipated. It’s just aswell it’s only available in a 100ml bottle, because I’ll spraying this liberally and often. In other news, the brand have recently opened a new London boutique in Covent Garden on King Street. Most interestingly, this is the first store to employ the brand’s new design in the inimitable Jo Malone style of black and cream, it’s also the largest freestanding boutique in the UK stocking a full range of Jo Malone’s beauty and home fragrance favourites. Velvet Rose & Oud Cologne Intesnse is a limited edition fragrance available now, priced at £95 for 100ml. Ooh! I purchased my very first Jo Malone fragrance a few months ago (I got Dark Amber & Ginger Lily) and I’ve been wanting to get another ever since! I’ll make sure to have a sniff at this one.